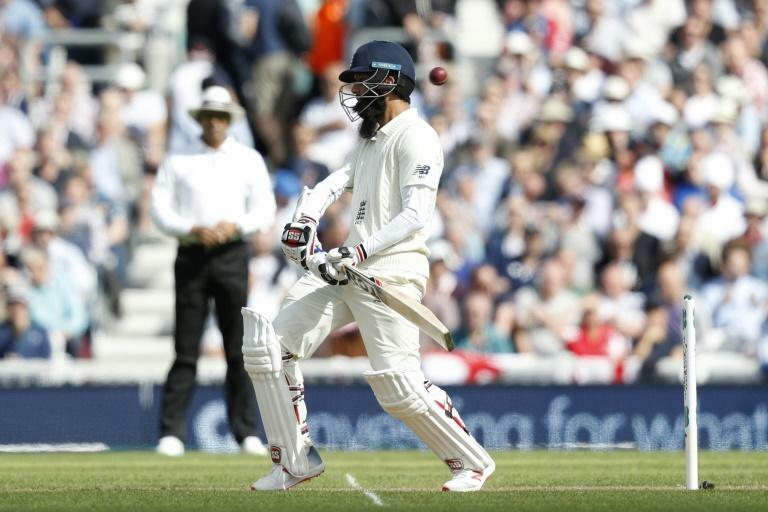 Moeen Ali said England's batsmen need to "change our mentality" after yet another collapse against India but remains positive about the future despite the impending retirement of opening linchpin Alastair Cook. England's top order has repeatedly failed to fire during the five-match Test series against India, failing to reach 400 once, and their batsmen again let them down on the first day of the fifth Test at the Oval on Friday. The home side -- with former captain Cook playing his final match -- were cruising at one stage on 133 for one, with Cook and Ali at the crease. "There are obviously players who are going to come in or there's a player that's going to come in and try and replace Cooky, which will be very, very difficult," he said. "We do have these collapses but everyone that gets out is a fantastic player and we all know that they all justify being in the side. It is difficult. These things happen. It's not just us guys, it happens around the world." Moeen, batting at number three after a career spent shuffling around the order, said India had bowled "fantastically well" in the series, which had made life difficult for the batsmen. But he said he remained upbeat despite England's batting woes. "I'm always confident," he said. "There's always good players, maybe some players that you don't know of at the moment that will turn up. "I think there's some very good players in county cricket who have got the ability to play but obviously we don't want these collapses all the time and I know they're happening but hopefully we just need to change our mentality a little bit I think." "Definitely, especially when he got dropped," he said. "I said 'this is meant to be for you' but unfortunately he didn't." India's Ravindra Jadeja praised the tourists' bowlers, saying England panicked. "Everyone bowled well," he said. "Especially when the partnership between Moeen Ali and Alastair Cook was on, our plan was to stop the boundaries. "Our plan was that if they didn't get boundaries, they'd panic and play wrong shots and get out. And that's exactly what happened. "From there we got six wickets for 50 or so. As a bowling department, that is our idea -- not to concede runs. If there's a partnership, we will bowl in good areas. In England, if one wicket falls, you get two or three in a cluster. And that's what happened."